When you need highly secure and the lowest price portable storage rental in Huntington nothing beats DefPro Containers. DefPro can usually deliver your mobile storage containers in Huntington within 24 hours and our highly responsive customer service team is here when you need us. 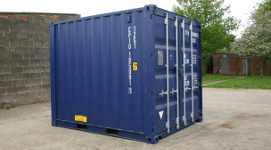 We think container rental should be simple, so all you need to do is provide a few details about your job site or storage needs and we can get you quotes in minutes. What Type of Portable Storage Units Can I Rent in Huntington? 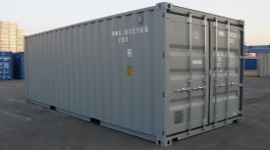 DefPro Containers specialized in renting all steel containers from 10 to 40 feet. After they are done moving goods across the ocean, we recycle and rent shipping containers in Huntington to give them a new purpose. While they go by many names including conex containers, ISO containers, cargo containers, portable storage units or sea containers, they are all highly secure and keep robbers, wind and water away from your valuables. We partner with local portable storage companies in Huntington and match your request to the best local suppliers. They will provide you with fast, hassle free price quotes on the storage container that you've requested via e-mail or telephone. Below are container rental pricing estimates in Huntington based on past averages of thousands of rentals. Individual price quotes will vary based on distance of your location to the container yard, customization (double sided doors, ventilation, shelving, lights, etc.) and available inventory. The most common sized shipping containers for rent in Huntington are 40 ft long with dimensions of 40'L x 8'W x 8’H. They are very large, so they can hold a lot of your equipment on site. Total capacity is 2,560 cubic ft. Average cost for a 40' storage container rental in Huntington is $140 to $180 per month. Dimensions: 20'L x 8'W x 8'H. Total capacity is 1,280 cubic ft. Average cost for a 20' storage container rental in Huntington is $100 to $150 per month. Dimensions: 10'L x 8'W x 8'H. The smallest size offered is a good option for on-site storage in areas where you don't have enough space to fit a bigger unit. Can conveniently fit in most parking lots and backyards and has a total capacity of 640 cubic ft. Average cost for a 10' storage container rental in Huntington is $75 to $110 per month. Dimensions: 40'L x 8'W x 8.5'H. The largest container that you can usually find. Total capacity is 2,720 cubic ft. Average cost for a 40 ft High Cube container rental in Huntington is $160 to $200 per month. Why Use DefPro.com For a Portable Storage Container Rental in Huntington? Save Time - need a container rental delivered in Huntington later today? With DefPro.com you can compare quotes and even get a mobile storage container rental delivered to your property on the same day. Comparing rates shouldn't take hours or days, with DefPro.com you'll get competing quotes in just a few minutes. By the time they make it to Huntington the containers will have some dings, dents and rust. However the most important thing is that every container we rent in Huntington is wind and water tight (WWT) with water proof seals to keep moisture out. All come with lockable swing out doors, though roll up doors are available on some units. Does Huntington have any regulations regarding mobile storage units I need to know about? Before you schedule delivery of your container, your agent will let you know if there are any concerns regarding Huntington policies about renting storage containers. If you are placing the container on a construction site or private property there are usually no ordinances to worry about.